Missing Documents and Vital Records? Oh yes, it can happen, there can be one or more ancestors of your direct lineage of your family tree where you can not locate any document or vital records (a paper trail) to support or learn more about that ancestor. Very frustrating for sure!! 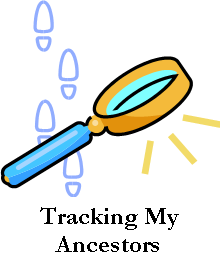 Here are some ideas of how to gather some information on that ancestor. First check and do the research on any of that ancestor’s siblings. It can be amazing what will turn up by actually research a great aunt or uncle. That ancestor could actually be living with a sibling. Second, research hometown newspapers … a great source to learn about individuals especially if they were in a small town. Of course try many different spellings and the use initials for given names when searching. Doing newspaper research takes patience but can be very rewarding. A good free online newspaper source is from the Library of Congress — ‘Chronicling America‘. Third, if you are trying to find information say on a great grandfather, go over and research each of his children, not just your own lineage. Continue that to those children’s children. Check different databases, census records, city directories, military records, obituaries, state archives, church records, hometown courthouse records, etc. Not only will that research add to your overall family history and family tree, but you just might locate the missing data on that great grandfather. Fourth, if your ancestor was from a small town, investigate the full census records for different years of that town. Look at each name, not just the head of a household. Make a list and provide information on any familiar name, say a great grandmother’s maiden name for example. That tiny step could lead you in the right direction.